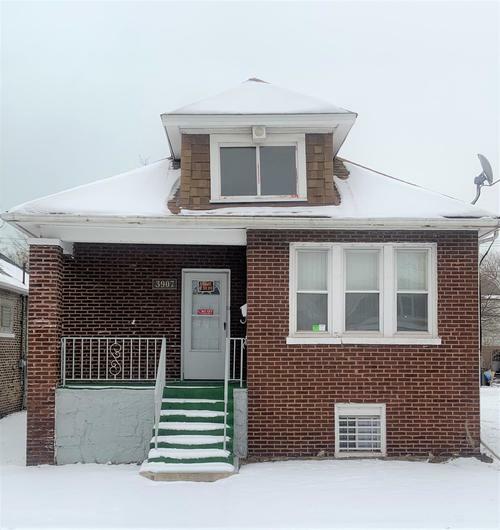 If you've been looking for a great home in East Chicago at a great price, then look no further! This brick ranch is truly a gem in East Chicago's Harbor neighborhood. For starters, the hardwood floors throughout the main level have been recently refinished and look amazing! The main floor bathroom was tastefully updated in 2017. The bathroom in the basement is also a huge bonus. The windows have been recently updated. There are also 2 additional finished rooms in the basement that can be used for related living. Hot water tank was replaced about 2 years ago. And the roof was replaced about 4 years ago. There is literally nothing to do with this home but move right in! In addition, this property is extremely close to Cline Ave which makes it ideal for commuting. Don't forget to ask about the City of East Chicago's awesome down payment assistance program. This is affordable home ownership at it's finest. Come see this home for yourself. Don't let this one get away from you. Directions:Cline Ave To Guthrie St. From Guthrie St turn left onto Hawthorne St. Right onto 140th St. Then right onto Fern St. Property on the right.